Horizon Housing Society is the sole owner of the information collected on this site. We only have access to and collect information that you voluntarily give us via email, event registration, sponsorship agreements, donation submissions or other direct verbal or written contact from you. We will not sell or rent this information to anyone. Your information will not be disclosed to anyone except appropriately authorized personnel and third parties who need the information to fulfill your request. 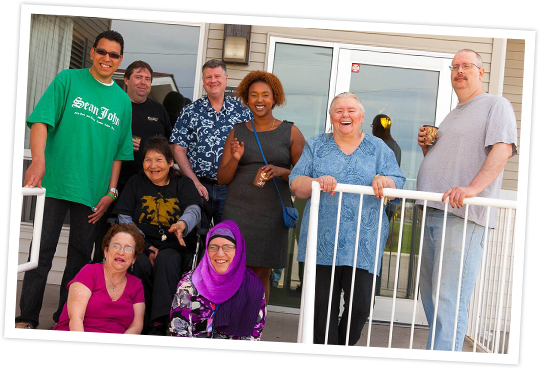 www.horizonhousing.ab.ca contains links to other websites that provide information about our partners. We are not responsible for the content and privacy practices of other websites you may visit after you enter our website. Wherever we collect sensitive information online (such as credit card data), that information is encrypted and transmitted to us in a secure way. When entering payment information, you can verify this by looking for a closed lock icon at the bottom of your web browser, or looking for “https” at the beginning of the address of the web page. Retention and destruction of personal information is determined by standard company policy and in conjunction with legislation as applicable. While we use encryption to protect sensitive information transmitted online, we also protect your information offline. Only employees who need the information to perform a specific job (for example, verifying payments) are granted access to personally identifiable information. The computers/servers in which we store personally identifiable information are kept in a secure environment.